Tomato lovers and gardeners: it’s easy and fun to make a tomato costume. It’s one more way you can “grow tomatoes” all year long! Plus, dressing up as a tomato is unusual and creative. Or have others dress as fruits and vegetables for an entertaining (not to mention healthy) group costume. It's easy to make a costume. Or if you want to save time, you can buy a costume. Prepare the tomato body. Cut sleeves off the sweatshirt. Fold sweatshirt inside out. Turn over cut raw armhole edges to the inside of the sweatshirt and secure with hot glue. Unroll Poly-fil® batting over inside front of sweatshirt. Cut a piece of batting to fit the sweatshirt front and lightly glue it on at the neck and armholes. Repeat this lining process with the inside back of sweatshirt. Cut or poke two small, side-by-side slits on the sweatshirt’s waistband, inside layer only. (The holes should cut through only one layer of the waistband.) Use the safety pin to pull shoelace, string, or elastic through the waistband. Leave the ends free to gather and tie at assembly. The gathered waistband will create the bottom of the tomato and allow you to “stuff” the tomato to make it round. Prepare tomato leaves. Trim corners of an 18-inch square of green felt to make a circle. Cut a slit from one side of the circle to the center. Then, fold the circle into quarters. Cut off enough of the center point (where the folds come together) in a half-moon shape to make a neck hole large enough for the wearer’s neck. Open the felt circle. Cut deep points around the circumference to resemble leaves. At assembly, you’ll drape this felt leaf collar around the wearer’s neck. Prepare the beanie. Place the large end of one of the cut sleeves on the wearer’s head. Gather the excess of the sleeve at the top of his head. Leave an extra 2-3” of the sleeve above that. Cut off the remaining small end of the sleeve. Twist together the cut end with a green pipe cleaner. Remove the beanie from the wearer. Turn over the beanie’s raw, lower edge to the inside and secure with hot glue. Assemble the costume. Stuff 3-5 pillowcases (depending on the size of the wearer) with Poly-fil® or wadded newspapers. Have the wearer dress in long-sleeved red or green shirt and red or green tights, leggings, or sweatpants. Let the wearer put on the prepared sweatshirt. Fill the sweat shirt with stuffed pillow cases. Gather the string around the waist or hips and tie to secure. Adjust stuffing as needed. Add more padding if necessary to round out the tomato. Drape green felt leaf collar around the wearer’s neck. Secure at the back with the safety pin. Put on the beanie and shoes to complete the costume. If you don’t have time to make a tomato costume, or if you can’t find a sweatshirt large enough to “stuff” the tomato and make it look round, you can buy quality tomato costumes for both adults and children. Here's the dirt: this tomato costume has a green leaf collar and red beanie hat with green leaves poking out from the top. It's great for young adults, women, and men with smaller frames. Approximate measurements: sleeve opening 14-16", bottom opening 40-42", head opening 21-24". Includes hat and tomato suit. Does not include mittens, undershirt, tights or shoes. Flexible fabric keeps shape if you follow the directions and hang it up before you wear it. Bob the Tomato: a Fave with Kids! Bob the Tomato and his partner Larry the Cucumber are cartoon characters who narrate many of The Veggie Tales® computer animated movies. Kids love these characters! Siblings or friends can dress up in Veggie Tales-themed Halloween costumes. 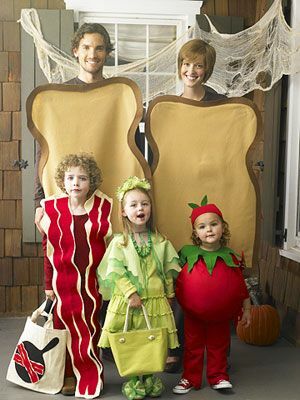 Get more costume ideas on our Tomato Costumes Pinterest board.